It does not include Congestion charge, parking, any parts and materials. Your gas appliance safety checked and ready to use. 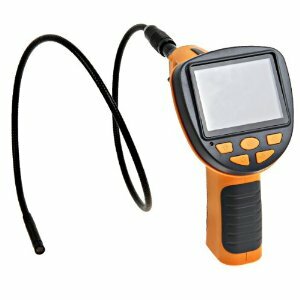 This handy inspection camera allows us to get a clear view inside boiler flue and other hard to reach areas normally hidden from sight. Local Gas Limited is an established business in gas installations and gas safety for landlords. We aim to cater for all people’s gas installation needs and issue the required Gas Safety Certificate to Landlords throughout London and Hampshire. We are a company with offices in London that covers a large clientele base in London and Hampshire areas. As gas installation professionals and Gas Safety Certificate providers, our engineers have infinite knowledge on gas appliances and are Gas Safe registered. So if our clientele or Landlords want to be Gas Safe certified, they know that the Gas Safety Certificate issued to them, is done so by professionals who specials in gas safety. Our engineers are guaranteed to be registered engineers, thus you know our engineers are competent and have expertise in gas safety and installation for landlords. Our engineers have been through several years of training and academics to make sure that they meet the standards required in providing an excellent service when dealing with Landlords and allocating Gas Safety Certificate . We are passionate in the service we provide and we make sure that when issuing Gas Safety Certificate to Landlords, we do the best job possible to make sure the building is 100% gas safe. We provide a top quality service to all Landlords as part of our clientele; and on top of the exquisite service we provide to our customers, we are also able to offer Gas Safety Certificate to reflect the fact that the appliances in the landlord’s premises are safe and work at the highest standards possible. Landlords need to have a Gas Safety Certificate to allow guarantee to their tenants that where they live has appliances that are not faulty or capable of causing a gas leak. A Gas Safety Certificate is a necessity for a landlord, and if they fail to provide one in the case of a gas fault, this is a criminal offence. To keep up-to-date with gas safety, landlords must also carry-out annual checks to maintain the safety standards of gas in the home and to ensure the Gas Safety Certificate is viable. The customer can help Gas Engineer by making sure that a there is a responsible adult around during the gas safety inspection and it will be helpful if the manufacturer’s instruction manual is available. This is so that the Gas Engineer can complete the operational checks and test on the appliance, and with the manual, the Gas Engineer may only be able to complete a visual assessment of the appliances and pipe work. You should receive one of these if a Gas Safe registered Gas Engineer installs a heat producing gas appliance in your property. It’s effectively a way of informing the Local Authority of the new appliance, and you should receive it in the post within 28 days of a new appliance being installed. Find out more information on Building Regulations certificates. The documentation an engineer leaves after having fitted, serviced or safety checked an appliance is dependent upon the purpose and type of work carried out. The only documentation required by law is a Gas Safety Certificate. It will detail exactly what checks the engineer has carried out and if the appliances checked meet the appropriate safety standards. Find out more about Gas Safety Records. This will be dependent upon the purpose and type of work carried out. The only documentation required by law is a Gas Safety Certificate as there is a legal duty on owners of residential rented properties to have annual safety checks carried out on the gas appliances they provide for their tenants' use. These safety checks must be carried out by a suitably qualified and registered Gas Engineer and the results are recorded in detail on a Gas Safety Certificate form with copies provided to the landlord and tenant. For more information on gas safety in rented accommodation you can visit our Gas Safety Certificate page. Landlords also have a legal duty to maintain pipework is a safe condition; so many proprietary forms also include the facility for the registered engineer to record the results of pipework integrity tests which indicate whether or not the pipework installation is safe. If you are not a landlord it is always a good idea to confirm with your registered Gas Engineer what documentation will be provided before having any gas work done in your home, as there’s no legal requirement for registered engineers to provide any documentation. In most cases your registered engineer will provide you with some documentation as it is good practice to do so. The level of detail provided on any documentation depends on the type of work undertaken and could vary from a simple job sheet or invoice to a record containing a similar level of detail and information to that provided in a Gas Safety Certificate. So if you require something specific, make sure you have agreed this with your registered Gas Engineer before they start work. Maintenance: pipework, appliances and chimney/flues need to be maintained safely. Gas appliances should be serviced in accordance with the frequency given in the manufacturer’s instructions. If these are not available, you should ask a Gas Safe registered Gas Engineer to service them annually. Gas Safety Certificate: An annual gas safety check should be carried out on each gas appliance/flue. This will ensure gas appliances and fittings are safe to use. There is a legal requirement on you to have all gas appliances safety checked by a registered engineer annually and you also need to maintain gas pipework and flues in a safe condition. This is UK law. Gas Safety Certificate Record: A record of the annual gas safety check should be provided to your existing tenants within 28 days of completion, or to new tenants upon the start of their tenancy. If the rental period is less than 28 days at a time you may display a copy of the record in a prominent position within the dwelling. You’ll need to keep copies of the record for at least 2 years. Additional info: If a tenant has their own gas appliance that you have not provided, you are responsible only for the maintenance of the gas pipework – not the appliance itself. It’s also a good idea to ensure that your tenants know where/how to turn the gas off and what to do in the event of a gas emergency. Last, but certainly not least, make sure anyone carrying out gas work on your property is Gas Safe Registered – this is not only the law, but the most important step to ensuring the safety of your tenants. Some landlord/tenant relationships can become problematic, and tenants may refuse to give you access to the property. If this is the case, you should have a previously drawn up agreement with the tenant allowing you access to the property to ensure any maintenance or safety work is carried out. You’ll have to take (and demonstrate that you have taken) all ‘reasonable steps’ to ensure the work is carried out – this can involve giving a tenant notice. If a tenant does refuse access, be sure to keep a record of any action taken as you may need this at a later date. The Gas Safety (Installation and Use) Regulations do not give powers to ‘force disconnection’ of the gas supply in these circumstances and you may need to seek legal advice. It’s in your best interests to let a Gas Safe registered engineer in if they visit your property to carry out a check – but don’t forget to ask to see their Gas Safe ID card first! It may also be a good idea to check with your landlord if you aren’t expecting an engineer to call. When a registered engineer does a gas safety check in your home, they will record all of the checks they carry out on a form. This is the Gas Safety Certificate, and it should list all of the appliances and fittings they’ve checked. If you’re renting a property from a private landlord, the council, a housing association or any other landlord, they should provide you with a copy of the Gas Safety Certificate record within 28 days of the check being completed. They also need to give a copy of the latest Gas Safety Certificate record to new tenants upon the start of their tenancy. Find out more information on Gas Safety Certificate Records. If you’re not in possession of a valid record for your current property, you can ask your landlord to provide this. If they fail to do so, you can report them to the HSE. Failure to follow gas safety requirements is a criminal offence and the HSE has the power to issue a formal caution and may prosecute your landlord. Students are like any other tenants in that your landlord needs to ensure that any gas appliances in the property are safe for you to use. As a student, gas safety is unlikely to be top of your priorities list, but knowing your rights – and the warning signs of carbon monoxide poisoning – might just save your life. The six symptoms of carbon monoxide poisoning could be mistaken for a hangover. To avoid this, it’s a good idea to invest in an audible carbon monoxide alarm – you can buy a battery operated one at any DIY store, usually for the price of a good night at the Students’ Union (£15-£20). Once it’s yours, you can take it with you wherever you go next. Make sure the alarm is marked to comply with the European safety standard BS EN 50291. If you own your own appliance in a tenanted property or have other specific circumstances, you can find out more about a landlord's duties. We also provide leaflets for tenants, students and the public which give general gas safety information – you can order them online. If you have a gas emergency, find out what course of action to take. To get your Gas Safety Certificate please contact us. If you are letting a property, you are legally required to carry out gas safety checks every 12 months. And if you are a homeowner, an annual Gas Safety Certificate will give you peace of mind. Local Gas homeowners’ Gas Safety Certificate comprises a full safety inspection of up to three gas appliances – for example, your boiler, cooker and gas fire along with the installation. In short, don’t put you and your family at risk and in danger of carbon monoxide poisoning. Have your gas appliances safety checked every year. It is the only way you’ll know your home is absolutely safe. Under gas safety regulations, landlords are responsible for the safety of all gas appliances and installations in their rented property and their tenants should be safe from any danger from them. This means you are legally required to have all the gas appliances and installations in your rented property checked every 12 months and to hold a Gas Safety Certificate. Gas Safety Certificate comprises a full inspection of the installation and up to three gas appliances – such as a cooker, boiler and gas fire. Any additional appliances can be safety checked for a further fee. You must provide your tenants with a Gas Safety Certificate record of the gas safety check within 28 days of the inspection, or to new tenants before they move in. And you must keep copies of the property’s Gas Safety Certificate record for a minimum of two years. If you use an agent to manage your property, it is crucial the management contract specifies who is responsible for organising the obligatory Gas Safety Certificate. If the agent is responsible, exactly the same legal duties that apply to a landlord apply to the agent. Gas Safety Certificate is available electronically, 24 hours a day. We will provide you with login details and a password so you can download your Gas Safety Certificate whenever you require it. Plus, we keep a record of all Gas Safety Certificate – so no more filing for you. At your Local Gas boiler service, the unit will be fired to identify faults, the casing removed to assess components and the flue (the boiler’s exhaust pipe) inspected to make sure it is unobstructed. At the end of the service, local gas engineers will issue you with a service report. We think of this inspection as a property’s MOT. Make sure you are complying with gas safety regulations as detailed in the Housing Health and Safety Rating System. With our Annual Reminder service local gas will advise in advance of when your properties are due to have safety inspections and services. If you have a flat in Southampton, which contains then you are lucky enough to have local gas Gas Safe Registered engineer at your fingertips to be able to offer you a Gas Safety Certificate! Local Gas is the number one Gas Safety Certificate company in Southampton, and our certificate professionals are frequently visiting Southampton area to deliver our expertise on appliance certificate and of course to provide our landlord customers with up-to-date Gas Safety Certificate. Our gas engineers are guaranteed to be Gas Safe Registered engineer, thus you know gas safe registered, Gas Safe Registered engineers are competent and have expertise in Gas Safety Certificate for landlords. Our engineers have been through several years of training and academics to make sure that they meet the standards required in providing an excellent when dealing with landlords and allocating gas safe certificate. We are passionate in the service we provide when issuing Gas Safety Certificate to landlords, we do the best job possible to building in Southampton is 100% gas safe. Local Gas Limited Gas Safety Certificate we provide a top quality to all landlords as part of our clientele, and on top of the exquisite service we provide to our customers. We are also able to offer Gas Safety Certificate in London to reflect the fact that the Cooker in the landlords premises are safe and work at the highest standards possible. Landlords need to have a Gas Safety Certificate to guarantee to their tenants that where they live has boiler that are not faulty or capable of causing a leak. A Gas Safety Certificate is a necessity for a landlord, and if you fail to provide one in the case of a fault, this is a criminal offence. To keep up-to-date with gas safety, landlords must also carry out Gas Safety Certificate to maintain the safety standards of gas in the home, and to ensure the Gas Safety Certificate is viable. So why wait? local Gas today for an excellent Gas Safety Certificate! To be a landlord in Southampton means you are responsible for Gas Safety Certificate the safety of your tenants, so why not let our Local Gas Gas Safe Registered Engineers ease this Gas Safety Certificate burden by servicing gas Hob, Cooker and gas safe certificating if a Cooker are safe and efficient, at a first rate you deserve! Not only are we capable to offer you a Gas Safety Certificate, certificate your flat in Southampton, our expertise stretches to be able to offer you our service in wiring, our connection in connecting and disconnecting cookers, and the wiring and maintenance of ovens with a Gas Safety Certificate. Local gas limited Gas Safety Certificate, we need to stress to you the importance of having been issued with a Gas Safety Certificate. This is a legal requirement that all landlords have to own if their flat is in possession of any kind of oven or cooker. So local Gas Safe Registered engineer relieve you of your stress and issue you with one today! All our engineers have gone through stringent training courses and academics so they are equipped with the knowledge to issue a Gas Safety Certificate, ability and legality to be able to offer you this necessary service! We even offer a yearly maintenance and Gas Safety Certificate for Cooker in Southampton flat! After you receive a Gas Safety Certificate from local gas engineer, it needs to be re-issued in order to that cooker or any other appliance is safe to use by issue a gas safe certificate. So you never have to worry to you have a Gas Safety Certificate. Why would you ever want to put your tenants at risk by making them use a faulty appliance? Let us do the hard work a Gas Safety Certificate, you and by Gas Safe Registered engineer the maintenance of boiler and servicing them to make them work safely and effectively in Southampton. Gas Safe Registered engineer are qualified in passing Gas Safety Certificate to whom need their properties boiler gas safe. So call us to help make your house safer and pass the Gas Safety Certificate. Gas Safety Certificate is something our gas safe engineer is always in demand to issue, especially for our customers in London. So, if you have a flat in this area, or if you have one in and around London with boiler that need to be serviced by professionals, Local Gas is the local fitters, Gas Safety Certificate for you! Local Gas is the number one Gas Safety Certificate company in London, and our gas safe professionals are frequently visiting the London area to deliver our expertise on appliance certificate and of course to provide our landlord customers with up-to-date Gas Safety Certificate. Our Gas Safe Registered engineers are guaranteed to be gas safe engineer, thus you know gas safe registered gas engineers are competent and have expertise in gas safety and Gas Safety Certificate for landlords. Local gas engineer have been through several years of training and academics to meet the standards required in providing an excellent service when dealing with landlords and allocating Gas Safety Certificate. We are passionate in the service we provide and we always do highest standard that when issuing gas safe certificate to landlords, we do the best job possible to be sure your building in London is 100% gas safe. Local Gas we provide a top quality service to all landlords as part of our clientele; and on top of the exquisite service we provide to our customers. We are also able to offer Gas Safety Certificate in London to reflect the fact that the Boiler, Cooker in the landlords premises are safe and work at the highest standards possible. Landlords need to have a Gas Safety Certificate to guarantee to their tenants that where they live has Boiler, Cooker that are not faulty or capable of causing a leak. A Gas Safety Certificate is a necessity for a landlord, and if you fail to provide one in the case of a fault, this is a criminal offence. To keep up-to-date with gas safety, landlords must also carry out Gas Safety Certificate to maintain the safety standards of gas in the home, and to ensure the gas safe certificate is viable. So why wait? Local Gas today for an excellent Gas Safe Registered Gas Safety Certificate company! Gas Safe Registered Gas Engineers are qualified in passing Gas Safety Certificate to whom need their flats Boiler, Hob, Cooker Gas Safety Certificate. Being a landlord in London with properties that have Boiler, Hob, Cooker can be a tricky business, especially when you know they need to be safe and reliable for the residents of your house, whether it is one person or a whole family living there. So why not ask local gas remove this extra worry in your life and issue you with a Gas Safety Certificate? Here is Local Gas Safety Certificate, we have gas fitters that have been trained to the fullest in Gas Safety Certificate knowing everything there is to know about Boiler, Hob, Cooker and how to make them protected from any and electrical faults. Gas Safety Certificate engineers use gas safety devices and techniques in order to ensure that appliance, whether it is a hob, cooker or is working well, and can be used without being any kind of risk to anyone. Gas Safety Certificate are legal requirements and if you are a landlord without one it could result in you being fined or imprisoned, so why risk it? Our engineers are frequently being entrusted in issuing Gas Safety Certificate, and we never leave a home until we are 100% certain that the Boiler, Hob, Cooker in a London flat has been thoroughly Gas Safety Certificate and serviced. Gas Safety Certificate registered company here at Local Gas has been an established and professional business for years when it comes to certificate and maintenance, and our Gas Safety Certificate is another of our priorities, and we do this excellently. So remember, if you have a house in London with a hob, range or dual fuel then you need to be able to demonstrate the ownership of a Gas Safety Certificate, so why look anywhere other than Gas Safe Registered local gas fitters? Call us today for an appointment that suits you. Gas Safety Certificate is a legal requirement to your house is safe with residents. Book Local Gas Safety Certificate at local-gas.co.uk alternatively call us on 077 387 09 387. Many of our clients who are landlords in Hampshire say they would trust no other Gas Safety Certificate company with issuing them their Landlords Gas Safety Certificate. Local Gas is the most trusted gas fitting company in Hampshire as all the houses we visit to issue Gas Safety Certificate have Boiler, Hob that are up–to–code and would come to no harm to anyone. Gas Safety Certificate engineer are often being called out to homes in Hampshire to issue Gas Safety Certificate because we have established ourselves as the gas fitters who care, and who will never disappoint. Many landlords in Hampshire often have homes that are in possession of a hob, stove etc. that needs to be Gas Safety Certificate to make sure that it is running smoothly with no problems and that it has no faults that could turn into a leak and that is where Gas Safety Certificate engineers come in. As a landlord, you have a duty to your Hampshire clients that you can offer them a safe home where they can live in comfortably, or even raise a family. So if you cannot show a Gas Safety Certificate, then you are not only failing in your duty as a landlord, you are also committing a crime that could result in you being fined or even imprisoned! Why should you have that looming over your head? Local Gas take some stress away from your life and guarantee you that as far as Boiler, Hob, Cooker are concerned, they are safe for your clients to use. Not only do we issue Gas Safety Certificate we also remind you yearly for a maintenance Gas Safety Certificate–up of Boiler, Hob, so that kitchen Boiler, Hob are always in the best condition for your clients. Many of our customers in Hampshire have properties that they rent out; fully furnished with kitchen Boiler, Hob, such as hobs, dual fuel ranges, and cookers. These landlords always call our services Local Gas in order for us to issue them with a Gas Safety Certificate. The reason why our Local Gas Safety Certificate is so popular and in high demand, is because we are local gas fitters that people know they can rely on and trust. We are Gas Safety Certificate company that are based in Hampshire, providing our services to people all around London and surrounding areas, as well as our needed customers in Hampshire. When we issue Gas Safety Certificate, we ensure that all kitchen Boiler, Hob, whether it is a range wall oven or a hob, we Gas Safety Certificate that it works to the best of its ability. But most importantly, we Gas Safety Certificate that the gas Boiler, Hob in your Hampshire house are safe to use for the whole family. When it comes to maintenance and servicing, Gas Safety Certificate registered gas engineers are extremely serious, and we do not leave a home in Hampshire unless we know that the Boiler, Hob that we have serviced for you are working excellently. Not only do we issue you with a Gas Safety Certificate, which gives you peace of mind, but we also give you yearly reminders when your Gas Safety Certificate needs updating. We care about the safety of Boiler, so we provide you with a service that always keeps Boiler in the best condition possible. So if you are a landlord with a house in Hampshire, or in or around the London areas, then call us Local Gas right away and we will service your home at a preferred time. If you have a house in SO Southampton with a hob, oven or then you must know that your house must have a Gas Safety Certificate in order for it to be legal and for you to rent out your house safely and securely. Gas Safety Certificate are legal requirements and without one you can be fined or even sent to prison! Not only this, by not having Gas Safety Certificate, it means that the Hob in your SO Southampton house could be harmful to your tenants, as remember; gas can kill if not dealt with by professionals. To get a Gas Safety Certificate is so quick and simple at Local Gas, and we are able to Gas Safety Certificate the maintenance and servicing of Hob at a requested time, no fuss! Here is Local Gas Gas Safety Certificate , we only provide our clients with Gas Safe Registered gas safe engineer who have been through the appropriate training and studying to make them more than capable to deal with all of Hob! We cannot stress enough how important it is for your SO Southampton house to have a Gas Safety Certificate, as there are so many things that Hob can have wrong with them. An oven connection could be faulty, a cooker could have incorrect wiring, or a hob could be causing a leak, all of which could lead to major implications. Are these things that you want to worry about when you have a busy life? Do not let these problems be something you need to deal with or worry about, Local Gas Gas Safe Registered engineer ease you of this burden. Simply call us today and we can give the care and attention Hob need in order to make them safe for anyone to use. A Gas Safety Certificate is a legal requirement to Gas Safety Certificate your bungalow is safe. Do you live in the area of SO Southampton and are in search of a gas safe registered gas company that you can trust to issue you with a Gas Safety Certificate? Then your worries are finally over! Local Gas is a specialist company that is competent and registered in issuing the Gas Safety Certificate you need in order to rent out your bungalow. Not only are we capable to offer you a Gas Safety Certificate for your bungalow in SO Southampton, our expertise stretches to be able to offer you our service in wiring, Gas Safety Certificate and disconnecting all kinds of hobs, cookers and ovens. Here is Local Gas, we need to stress to you the importance of having been issued with a Gas Safety Certificate. This is a legal requirement that all landlords have to own if their house is in possession of any kind of hob, oven. So Local Gas Gas Safe Registered engineer relieve you of your stress and issue you with one today! All Gas Safe Registered Local Gas Engineer have gone through stringent training courses and academics so they are equipped with the knowledge, ability and legality to be able to offer you this necessary service! Why would you ever want to put your tenants at risk by making them use a faulty appliance? Let us do the hard work for you and by Gas Safety Certificate the maintenance of Boiler, Hob, Cooker and Oven and servicing them to make them work safely and effectively in your SO Southampton house. So if you live in SO Southampton and need a Gas Safety Certificate or you have any kind of certificate issue that needs addressing, whether it if be for a cooker or hob, Local Gas are here for you! Gas Safety Certificate engineer are qualified in passing Gas Safety Certificate to need their apartments Hob Gas Safety Certificate. So call us to help make your bungalow safer. If you have an apartment in SO Southampton with any kind of such as a hob, then you must know that your apartment must have a Gas Safety Certificate in order for it to be legal and for you to rent out your apartment safely and securely. Gas Safety Certificate is legal requirements and without one you can be issued with a fine, or even sent to prison! Not only this, by not having a Gas Safety Certificate, it means that the Boiler in your SO Southampton apartment could be harmful to your tenants, as remember; gas can kill if not dealt with by professionals. To get a Gas Safety Certificate is so quick and simple at Local Gas Gas Safety Certificate, and we are able to gas safe certificate the maintenance and servicing of Boiler at a time that suits you, no fuss! Local Gas, we only provide our clients with Gas Safe Registered gas safe engineer who have been through the appropriate training and studying to make them more than capable to deal with all of Boiler! We cannot stress enough how important it is for your SO Southampton apartment to have a Gas Safety Certificate, as there are so many things that Boiler can have wrong with them. An oven connection could be faulty, a cooker could have incorrect wiring, or a hob could be causing a leak, all of which could lead to major implications. Are these things that you want to worry about when you have a busy life? Do not let any problems be something you need to deal with or worry about, local Gas Safety Certificate ease you of this burden. Simply call us today and we can give the care and attention Boiler need in order to make them safe for anyone to use. A Gas Safety Certificate is a legal requirement to Gas Safety Certificate your apartment is safe for all residents. Did you know it is the landlords responsibility to arrange for Gas Safety Certificate by a Gas Engineer? The landlord must provide the tenant with a copy of the Gas Safety Certificate within 28 days of it being carried out and a copy must be given to all new tenants. The Gas Safety Certificate ensures all Boiler are in a safe condition. Local Gas is a gas safe Company with over many years of experience providing Landlords and apartment management companies with Gas Safety Certificate. We are able to provide appointments to customers in SO Southampton and aim to find an appointment based on your availability. Gas Safety Certificate is an important document for any Landlord renting an apartment. As Gas Safety Certificate providers, we know how important it is to receive a copy of the Gas Safety Certificate as soon as possible, which is why we will always leave a copy in the apartment once the Gas Safety Certificate has been completed. This proof is vital that you hired a professional to carry out the job and if you ever need to claim home insurance you will need Gas Safety Certificate to do so. All of our engineers are gas safe and have vast amounts of knowledge when it comes to Gas Safety Certificate and the Boiler you may have in your home. Their knowledge along with experience allows us to provide such a high quality service to all of our customers. Here is Local Gas Safety Certificate we understand that being a Landlord may cause some difficulties in regards to gaining access to the bungalow in order to carry out the Gas Safety Certificate, which is why we are more than happy to arrange the appointment with your tenant(s), taking the stress off of your shoulders. By law, under the Gas Safety Regulations 1998, it's your responsibility to get a Gas Safety Certificate every twelve months. You must get this from a Gas Safe Registered engineer for all pipe work, gas appliances and flues at your bungalow. If you use an agent to manage your bungalow, you need to make sure your contract clearly states in black and white whose responsibility it is to carry out maintenance on gas appliances. You must also keep copies of all the paperwork. You'll need to keep a record of the Gas Safety Certificate for two years, and give a copy to all of your tenants within 28 days of the certificate. If your tenants change, they'll need a copy of the Gas Safety Certificate before they move in. If your contract says the agent is responsible, then the Gas Safety (certificate and Use) Regulations 1998 are passed on to them. gas appliances will be checked for gas tightness. Gas Safety Certificate Gas Engineer will check burner pressure and gas rate against the manufacturer’s data plate. Without completing all of the above checks an appliance cannot be issued a Gas Safety Certificate. A product that provides you with our expert safety advice and Landlord Gas Safety Check and Certificate so you can rent out your bungalow. Gas Safe Registered engineer will inspect gas meter, pipework and appliance to help ensure remain compliant with current legislation, plus you benefit from online access to Gas Safety Certificate and receive annual reminders. An annual Gas Safety Certificate will insure the certificates and appliances are safe to use and they are compliant with gas safety regulations. If you are letting a bungalow, you are legally required to carry out gas safety checks every 12 months. And if you are a homeowner, an annual Gas Safety Certificate will give you peace of mind. Gas Safety Certificate comprises a full safety certificate of up to three gas appliances – for example, your boiler, cooker and gas fire along with the certificate. At the certificate the physical condition of gas appliance, its certificate, pipework and any air vents will be checked, and performance tests carried out. In short, don’t put you and your family at risk and in danger of carbon monoxide poisoning. Have gas appliances safety checked every year. It is the only way you’ll know your home is absolutely safe. If everything is up to scratch, our Gas Engineer will issue you with a Gas Safety Certificate which you can download electronically. And if any of your appliances are faulty, you will get a full report outlining what is required to make them safe. Under gas safety regulations, landlords are responsible for the safety of all gas appliances and certificates in their rented bungalow and their tenants should be safe from any danger from them. This means you are legally required to have all the gas appliances and certificates in your rented bungalow checked every 12 months and to hold a Gas Safety Certificate. Gas Safety Certificate comprises a full certificate of the certificate and up to three gas appliances – such as a boiler and gas fire. Any additional appliances can be safety checked for a further fee. You must provide your tenants with a record of the gas safety check within 28 days of the Gas Safety Certificate or to new tenants before they move in. And you must keep copies of the terrace house’s gas safety record for a minimum of two years. If you use an agent to manage your terrace house, it is crucial the management contract specifies who is responsible for organising the obligatory annual gas safety check. If the agent is responsible, exactly the same legal duties that apply to a landlord apply to the agent. Gas Safety Certificate are available electronically, 24 hours a day. We will provide you with login details and a password so you can download your Gas Safety Certificate whenever you require it. Plus, we keep a record of all gas and electrical safety certificates – so no more filing for you. The boiler is at the heart of a terrace house’s heating system and keeping it efficient, requires a yearly visit from an engineer. A neglected boiler can be a source of leaks and carbon monoxide poisoning. When requesting a Gas Safety Certificate; you may sometime come across a failed report. Below Trade Facilities Services have highlighted the 3 possibilities on a Gas Safety Certificate. My Gas Safety Certificate says: ‘Immediately Dangerous’ (ID). After Gas Safety Certificate if Gas Safety Certificate says “immediately dangerous” certificate which, if operated or left connected to a gas supply, is considered to be an immediate danger to life or terrace house. Note that the certificate will be disconnected, with your permission, and must not be used until the necessary work has been carried out to repair the defect(s). If you continue to use an immediately dangerous certificate you could be putting you or your family’s lives in danger. If you refuse the Gas Safe Registered engineer permission to disconnect the certificate or an individual appliance, they will report the situation to the Gas Emergency Service Provider (ESP). The ESP has legal powers to demand entry to make the situation safe or may disconnect the gas supply to the terrace house. My Gas Safety Certificate: ‘At Risk’ (AR). After Gas Safety Certificate if your says “at risk” certificate is where one or more recognised faults are present which could constitute a danger to life or terrace house without further faults developing. With your permission, the certificate will be turned off and should not be used again until the fault has been repaired. My Gas Safety Certificate says: ‘Not to Current Standards’ (NCS). After Gas Safety Certificate if gas certificate says not to current standards, it’s OK it just means over time, industry standards may change and, as a result, existing certificates may not always meet the current safety requirements. A “not to current standards” certificate is one which does not meet with current standards, but is safe. You may desire to improve the certificate to meet current standards as this could improve the reliability and lifespan of the certificate. If the Gas Safety Certificate has been carried out recently, you should contact the registered gas business that carried out the work to correct any identified faults. For older certificates Gas Engineer can advise you whether the certificate should be brought in line with current standards. Home Checks are proud to provide the cheapest Gas Safety Certificate across Hampshire working with Estate Agents, Landlords and Home-owners. There is no added cost as we do not carry out major repairs or certificates. We are more than half the price of British Gas yet offer the same Gas Safety Certificate by a fully qualified Gas Safe Engineer, so why pay more? Although gas safety checks are strongly recommended in all residences, landlords are legally obliged to arrange these checks every year. They must also receive a Gas Safety Certificate and provide this to their tenants. Engineers do not necessarily have to provide Gas Safety Certificate to people at the conclusion of a gas safety check, so it is a good idea for landlords to ensure that they will receive a Gas Safety Certificate before they make a payment to the engineer. Local Gas Engineer offers a vast of Gas Safety Certificate, repair and service. Whatever type of Gas Safety Certificate you require, we inspect, repair or service it. Gas Safety Certificate looks quite different number of categories of cooking appliances which are available. Note – New Gas Safety Certificate must carry a CE Mark. Local Gas Engineer can inspect, repair, service, issue a Gas Safety Certificate you with a traditional looking cooker, or the ultra-modern stainless steel hob. When it comes to a Gas Safety Certificate, there are regulations that have been put in place in order to ensure the safety of the terrace house and the tenants as well as reducing the possibility of damage to the appliance itself. When it is comes to Gas Safety Certificate, there different regulations and requirements. For example, there has to be a distance of 20mm between the cooker and the edge of the worktop. There must also be a minimum distance of 150mm between the cooker and the adjacent wall or surface. There must also be a clearance of 610mm above the cooker. Also when it comes to a Gas Safety Certificate, it is very important that you hire a Gas Safe Engineer to complete the Gas Safety Certificate, as it is illegal for an Gas Safe Engineer that has not been gas safe registered to inspect a gas without Gas Safety Certificate or appliance of any kind. When it comes to Gas Safety Certificate, it is advisable to call a Gas Safe Engineer as when it comes to Gas Safety Certificate. To book a quick and reliable Gas Safety Certificate at local-gas.co.uk and we will deal with your request. All our Gas Safe Engineer have up to date training and are gas safe registered. Looking for local Gas Safety Certificate to inspect a gas in your home? Tired of checking the yellow pages to find local Gas Safety Certificate service in your area? We have good news for you, finding local Gas Safety Certificate who is trustworthy and professional has become easier than ever. If you need local Gas Safety Certificate to inspect and certificate gas appliance then contact us here at www.local-gas.co.uk for a Gas Safety Certificate. Gas Safety Certificate or gas certificate Service by Local Gas Limited and we will take care of your worries. We provide competitive prices with excellent customer services and have proved our name by delivering quality service to our existing customers. Local Gas is a Registered gas company. Local Gas is happy to provide Gas Safety Certificate in the London areas. Gas Safety Certificate issued by Gas Safe Engineer. Our local Gas Engineer is trained professionals and have years of experience in handling all gas related work so you do not need to worry about the efficiency of our work. Please Book Online and have Gas Safety Certificate, inspected by the professional Gas Safe Engineer experts. Once you book an appointment, we will then send our gas safe registered Gas Engineer to your home for inspecting or check your home. Our Gas Safety Certificate engineer is also able to provide you with support and assistance with any concerns you may have regarding Gas Safety Certificate. It is required by the law to have gas appliance inspected or check by a professional, which is why hiring the services of your local Gas Safety Certificate is essential. For further information at www.local-gas.co.uk, please call 077 387 09 387 and we will deal with your request. Many of our customers in PO16 Portsmouth and PO17 Portsmouth have properties that they rent out; fully furnished with kitchen must have a valid Gas Safety Certificate. These landlords always call our gas services here at Local Gas in order for us to issue them with a Gas Safety Certificate. The reason why our Gas Safety Certificate service is so popular and in high demand, is because we are local Gas Safety Certificate that people know they can rely on and trust. We are gas inspectors that are based in PO16 Portsmouth and PO17 Portsmouth, providing our services to people all around London and surrounding areas, as well as our needed customers. When we issue Gas Safety Certificate, we ensure that all gas kitchen appliances, whether it is, we make sure that it works to the best of its ability. But most importantly, we make sure that the Gas Safety Certificate in your PO16 Portsmouth and PO17 Portsmouth b&b are safe to use for the whole family. When it comes to gas maintenance and servicing, our Gas Engineer are extremely serious, and we do not leave a home in PO16 Portsmouth and PO17 Portsmouth unless we know that the gas appliance that we have serviced for you are working excellently. Not only do we issue you with a Gas Safety Certificate, which gives you peace of mind, but we also give you yearly reminders when your Gas Safety Certificate needs updating. We care about the safety of Gas Safety Certificate so we provide you with a service that always keeps Gas Safety Certificate update. So if you are a landlord with a b&b in PO16 Portsmouth and PO17 Portsmouth, or in or around the London areas, then call us here at safety certificate right away and we will service your home at a time that suits you. Having a Gas Safety Certificate that needs certificate can be a pain, so why not let Local Gas ease you of this stress? If you live in PO Portsmouth then you are lucky enough to have us as Gas Safety Certificate, providing the best Gas Safety Certificate service in PO Portsmouth! Our registered Gas Safe Engineer work long and hard on making sure they know how to service all kinds of Gas Safety Certificate, and we deliver this service at an excellent Gas Safety Certificate price! All the work we do for our clients is in agreement with Gas Safety Certificate fitting regulations, and we only use the best in gas connection kits, so why wait, call us today! If you live in PO Portsmouth and you have just purchased a gas appliance with Gas Safety Certificate that needs an Gas Safety Certificate service, then why not call Local Gas where we can provide you with high quality service at a time that is convenient for you. Our Gas Safety Certificate service includes disconnecting and connecting gas and electrical wiring, organising gas pipes to make sure they follow exact Gas Safety Certificate, and certificate all the fixtures and checking of your chosen appliance. Do not risk to not to have a Gas Safety Certificate , risk with the intention of inspecting and wiring yourself please, this is dangerous and can result in the eventual malfunction of gas appliance. Your home in PO Portsmouth has Local Gas at a mere phone call away with any one of our Gas Safe Engineer! All our Gas Safe Engineer are Gas Safe registered, so you are guaranteed to be provided with a service from professionals that have an endless supply of gas safety knowledge, so you are providing a safer PO Portsmouth home for both you and your family. So if you live in PO Portsmouth and you need the Gas Safety Certificate, a new gas safe certificate then do not hesitate to call our professional Gas Safe Engineer here at Local Gas for a Gas Safety Certificate you can rely on. High heating bills - Noisy heating system - Radiators have cold spots - System slow to warm up - Radiators need regular bleeding - Pump failures - Evidence of sludge and rust in the header tank. Your system needs a professional Gas Safety Certificate. Having a Gas Safety Certificate to existing heating systems will enhance the efficiency of your boiler. Gas Safety Certificate is it is becoming part of a manufacturer’s guarantee that a Gas Safety Certificate be carried out. How long will Gas Safety Certificate take? A professional Gas Safety Certificate will usually take one hour. Gas Safety Certificate is a leading London GAS and HEATING contractor serving the Greater London area within the M25. We specialized in a wide of services (see Local gas engineer service list for details) and take pride in Gas Safety Certificate reputation for being reliable, efficient and affordable Gas Safe Engineer. We feel strongly that our customers should receive the best possible gas service, no matter how big or small the job. We take great pride in our ability to maintain a good reputation for the work we carry out in private homes. All of Local Gas work is fully insured and certified. Local Gas is reliable, efficient and affordable and do everything in our power to ensure our customers are satisfied with the domestic services we provide. Local gas engineer engineers work professionally and do their very best to deliver excellent customer service. We strive to ensure a good response time and show up within specific time frames. All of gas safe engineer colleagues are not only fully qualified but take new trainings whenever they become available. This helps us become better qualified to the fast moving industry we’re in. Gas safe Gas Engineer work on the highest standard of workmanship and safety is adhered to and that your home is protected from potentially lethal gas leaks. Local gas engineer strength lies in our ability to build and maintain long standing relationships with our customers through a commitment to high quality workmanship, forward thinking and professional working practices and a constant desire to deliver as promised and on time. Gas safe engineer take pride in all of our work and pride ourselves in maintaining our reputation. Gas safe engineer highly motivated, customer orientated engineers arrive on time, dressed in clean uniforms and driving our spotless company vans. For customers added peace of mind all Local gas engineer engineers carry Gas Safe Register photo ID. More than 71% of Local Gas engineer weekly jobs come from customer’s recommendation who have used the company before. Gas Safe Register is the official list of gas engineers who are registered to work safely and legally on Gas Safety Certificate. By law, all gas engineers must be on the Gas Safe Registered. It has replaced CORGI registration. We take it for granted that our boilers, fires are safe. It is only when there is a problem with an appliance that many people take any notice of it at all. What are the gas safety risks of dangerous gas work? Dangerous gas work can be deadly. Always check the engineers Gas Safe Register ID card. All Gas Safe registered engineers carry a Gas Safe Register ID card, with their own unique licence number, showing the type of work they are qualified to do. View our short video to understand what you need to check on the card. Get your appliances regularly serviced and safety checked every year, or in accordance with your manufacturers guidelines, by a Gas Safe registered engineer. Are you a resident of the PO Portsmouth area and have requested a Gas Safety Certificate that b&b needs inspecting? Then our Gas Safety Certificate company, Local Gas is the company you need to call! We are a PO Portsmouth based company with gas safe engineer who travel all around PO Portsmouth, producing expert Gas Safety Certificate work to all our valued customers. We are not only professionals Gas Engineer when it comes to the Gas Safety Certificate and servicing of gas appliances, we also have expert knowledge and training on Gas Safety Certificate. We are regularly in PO Portsmouth dealing with all customers Gas Safety Certificate! So do not hesitate to call us and we will make sure that we can come at a time that suits you for a Gas Safety Certificate. Servicing a Gas Safety Certificate, and any other kind of gas appliance Gas Safety Certificate, is not as easy as it may seem, despite gas appliance guidelines. Thus we highly recommend that you hire a professional gas safe engineer to check gas system. To check and test or inspect a gas appliance yourself is dangerous, and can cause a major hazard to your home if the service is not performed correctly, so why risk it when you can call and have one of our trained Gas engineers to come and check. Making an appointment for a Gas Safety Certificate service has never been simpler if you live in SO Southampton and that is because of our superb Gas Safety Certificate service Local gas engineer. We are the Gas Safety Certificate professionals that people all over SO Southampton call and this is all thanks to the premium service we provide all our customers. If you live in SO Southampton and you need Gas Safety Certificate wired or re-wired, if Gas Safety Certificate is not working or needs a maintenance gas service, or if you are a landlord in need of an important Gas Safety Certificate that is a legal requirement for any property, then call us here at Local Gas engineer! Our Gas Safe Engineer who have been through years of stringent training and studying are not only pros when it comes to our Gas Safety Certificate service, but we have endless knowledge on Gas Safety Certificate, gas safe certificate because that is what we have a passion for. What we must express here at Local Gas Limited is that if you have just purchased a gas cooker or any other kind of gas appliance, to not be tempted to install and wire the gas cooker or gas appliance yourself, as this is a dangerous and tricky task. If this task not done under the service of gas safe certificate professionals can lead to gas related hazards and accidents. So why risk the safety of your family and SO Southampton home? 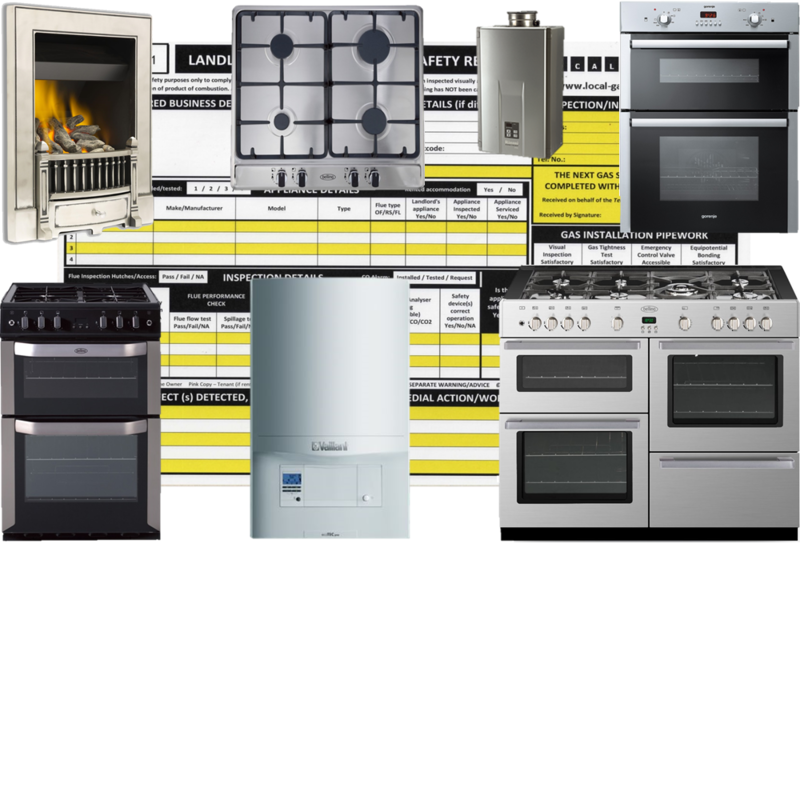 If you are in need of a Gas Safety Certificate Gas Safe Engineer, or you need a gas cooker or gas hob replaced or removed, then our qualified gas safe engineers are more than willing to provide our high end gas services to you and your family, so call us now for a time that is convenient for you! Local Gas Limited has Gas Safe Engineer serving London, Middlesex, Surrey and Kent to provide Gas Safety Certificate to individuals requiring our services. Gas Safety Certificate is second nature to our gas engineers as they carry our Gas Safety Certificate on a daily basis. Their Gas Safety Certificate knowledge is endless, which is why we are able to offer such a great service to our customers. If you have recently purchased a gas hob and need professionals to help you with the Gas Safety Certificate that call us today. Gas Safety Certificate prices are completely transparent with no hidden extras. It is imperative that you never try to complete a Gas Safety Certificate yourself as this could consequently cause great danger. Only qualified gas safe engineer will be able to make sure that Gas Safety Certificate is safe and that there is no gas leaks after Gas Safety Certificate. Gas Safety Certificate may seem easy with the instruction book in your hand but connecting the Gas Safety Certificate to the main gas supply is the crucial part. Are you looking for Gas Safety Certificate to help you understand Gas Safety Certificate? This article can help you understand the Gas Safety Certificate and why they are important. Whenever you purchase a new Gas Safety Certificate, you receive the Gas Safety Certificate along with it. This Gas Safety Certificate is not to be used by you or anyone who is unqualified or Gas Safe registered. The reason you are provided with Gas Safety Certificate is to assist your engineer when installing Gas Safety Certificate. When reading through Gas Safety Certificate you may feel that the steps seem simple enough for you to follow, however it is important to remember that gas is one of the most dangerous substances found in the home and can potentially cause great danger with severe consequences. Not at any point should you assume that reading the Gas Safety Certificate qualifies you to connect the gas appliance on your own. It is a legal requirement that you hire an expert even if you have read and understood Gas Safety Certificate. At Local Gas Limited Gas Safety Certificate Connection Service we ensure the gas appliance fitting instructions are followed correctly and that the final safety checks are made to ensure you have a safe connection. To book an appointment at local-gas.co.uk a time and date suitable to you, please feel free to contact our customer service team using the details below. If you have a property in SO14 Southampton and SO15 Southampton with a Gas Safety Certificate, gas safe certificate, or dual fuel gas safe certificate, then you must know that your property must have a Gas Safety Certificate in order for it to be legal and for you to rent out your property safely and securely. Gas Safety Certificate is legal requirements and without one you can be fined or even sent to prison! Not only this, by not having a Gas Safety Certificate, it means that the gas cooker, gas hob or other gas appliance in your SO14 Southampton and SO15 Southampton property could be harmful to your tenants, as remember; gas can kill if not dealt with by professionals. To get a Gas Safety Certificate is so quick and simple at Local Gas Limited, and we are able to check the maintenance and servicing of gas cooker, gas hob or other gas appliance at a time that suits you, no fuss! Here is Gas Safety Certificate Service, we only provide our clients with Gas Safe Engineer who have been through the appropriate training and studying to make them more than capable to deal with all of gas cooker, gas hob or other gas appliance! We cannot stress enough how important it is for your SO14 Southampton and SO15 Southampton property to have a Gas Safety Certificate, as there are so many things that gas boiler, water heater or other gas appliance can have wrong with them. A gas boiler installation could be faulty, a water heater could have incorrect wiring, or a gas oven could be causing a gas leak, all of which could lead to major implications. Are these things that you want to worry about when you have a busy life? Do not let these problems be something you need to deal with or worry about, let Gas Safe Engineer ease you of this burden. Simply call us today and we can give the care and attention gas boiler, water heater or other gas appliance need in order to make them safe for anyone to use. A Gas Safety Certificate is a legal requirement to make sure your property is safe for all residents. Check that the Gas Safe Engineer or business is on the Gas Safe Register. Gas Safe Engineer is registered by entering their registration number. All Local Gas Limited Gas Safe registered Gas Safe Engineer carry a Gas Safe ID card with a unique licence number. Do you need a Gas Safety Certificate service and live in Portsmouth? Well Gas Safety Certificate Service is here for you! Our appliance Gas Safety Certificate engineers are hardworking and efficient so you do not need to worry about us wasting your time, we do the job we are paid for and then we leave your house, knowing that gas boiler is working safely for you and your family. Here at Local Gas Limited your safety is our priority. We are not only professionals when it comes to the Gas Safety Certificate and servicing of gas boiler, we also have expert knowledge and training on gas boiler, water heater and gas fire. We are regularly in Portsmouth dealing with all customers’ Gas Safety Certificate needs! So do not hesitate to call us and we will make sure that we can come at a time that suits you. To service a gas boiler, and any other kind of gas appliance, is not as easy as it may seem, despite gas appliance guidelines. Thus we highly recommend that you hire a professional gas engineer to service your gas boiler, water heater or gas fire. To install and uninstall a gas boiler is dangerous, and can cause a major hazard to your home if the service is not performed correctly with gas safety devices, so why risk it when you can call and have one of our trained Local Gas Limited engineers to come and fit your gas boiler for you for a reasonable price? So if you live in Portsmouth, and your gas boiler that needs a Gas Safety Certificate, or you have a water heater that needs wiring or maintenance work done to it, then Local Gas Limited can give you a safe and reliable service, and we guarantee that your gas boiler will be up and running as soon as possible and will be working for you for a long time! Getting gas fire for your Portsmouth home is very exciting, and to get the best out of your new gas fire, you should hire appliance maintenance professionals who are competent in gas fire, that is where our gas engineers here at Local Gas Limited can help. When it comes to appliance care and servicing, we are the best in Portsmouth, and this is due to our registered gas engineers who have been through the best in Gas Safety Certificate training. Gas Safety Certificate is our passion, and this definitely shines in the work we do. There are several steps that are paramount in making sure to gas hob in your Portsmouth home is to the perfection your kitchen deserves. The old gas hob or oven must firstly be removed. The next step our Local Gas Limited experts take when gas hob or oven that you have chosen to be fitted into your home is to wire your gas hob or oven and make the appropriate gas and electrical connections. Gas Safety Certificate and gas hob maintenance is not easy and should only be handled by gas registered professionals who have been adequately trained in Gas Safety Certificate. Having someone who is not competent in Gas Safety Certificate and servicing could cause your gas hob to become a danger to your family and Portsmouth home, so why risk it? Arranging a time with Local Gas Limited is easy as we are sure that we will find a time that is convenient for you. Our gas safe engineer are always professional and we make sure that we are quick and efficient as to not take up too much of your time. So if you live in Portsmouth, you are lucky enough to have Local Gas Limited right on your doorstep, take advantage of your Local Gas Limited Gas Safety Certificate service and call right away!